Notification Press released 2945 jobs in Himachal Pradesh on Contract basis. sections go through the information. will be given the Official Notification Please go through it. standard and efficiency test etc will be conducted wherever required. 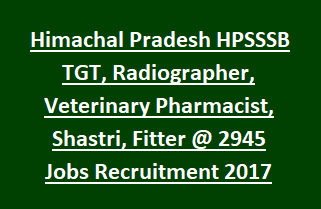 for HPSSSB TGT Jobs is till 15-10-2017.